St. Louis Post-Dispatch Can’t Spot The Difference. Can You? Four decades after they died off like transportation dinosaurs, streetcars took a big step toward returning on Friday as details emerged of a plan for a trolley line from the Delmar Loop to Forest Park. The $44 million St. Louis Loop Trolley Project, backed by $25 million in federal funding, will feature hybrid-electric trolleys running from the Loop to the Missouri History Museum. Now I realize that the Loop is called the Loop because it used to be where the streetcars turned around, and I admit I haven’t been to the Loop in years (and the last time was for a job interview and not shopping or night life), but I do remember that Delmar was a two lane street with parking. I’m not entirely sure how they’re going to run a trolley right down the middle of it without…. oh, wait, they will kill the street parking. Which might kill some visits by people who drive cars to the Loop, i.e., people who have money to spend. Maybe the Loop will get a CID or a TDD to build a new parking garage. When the call of the grape leads you to Missouri’s wine regions, having someone to drive for you is a vintage idea. 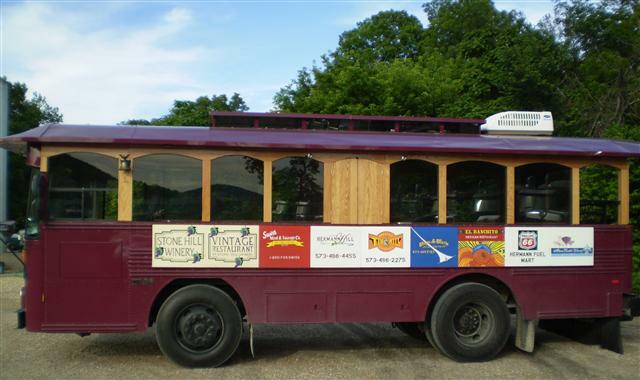 The recent addition of a trolley service in Hermann makes this idea more convenient. The Hermann Trolley Co. picks passengers up at the Amtrak station for the trains’ four daily stops and at all of the bed-and-breakfasts in the area. Then it makes stops at all of the area wineries. The company has two trolley cars running and plans to add a third by fall. Can you, gentle reader, spot the difference between the two where the Post-Dispatch could not (or would not)? One is a millions of dollars of tax money (and by tax money, I of course mean “money borrowed from the Chinese) boondoggle in the making that will ultimately be underutilized and require constant infusions of tax money (hey, you St. Louisians who loved the 2010 Metro Tax ballot issue: how eager are you for one in 2013, too? And 2015? And 2018?). The other is a private enterprise targeted to a place where customers naturally would not want to drive (wineries). Because small private enterprises thrive, the government should be able to do it bigger and better with more sunk costs and administrative waste. The successful trolley in Hermann is not a trolley at all. It’s a bus.